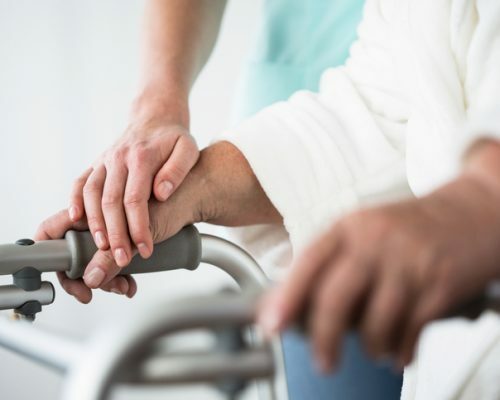 The leading cause of injury in the elderly, falls are becoming an increasingly common (and deadly) threat as the American population continues to age. Every day every second a senior falls, and rising numbers of falls mean rising medical costs. Experts urge the doctors to speak to their patients about the importance of reducing the likelihood of falls. The higher risk of falls among seniors is a result of weaker muscles, decreased physical activity, and a rise in chronic health conditions. The rate of fall-related injuries is seven times greater in seniors with a medical condition. Vision problems, poor fitting shoes, and loose carpeting are other factors that increase the risk of falls. The CDC recommends that doctors speak to their older patients about their risk of falls. Doctors should ask questions such as, do you feel unsteady? Have you fallen in the last year? Do you have any worries about falling? Doctors should also modify medications that may be increasing the risk of falls.